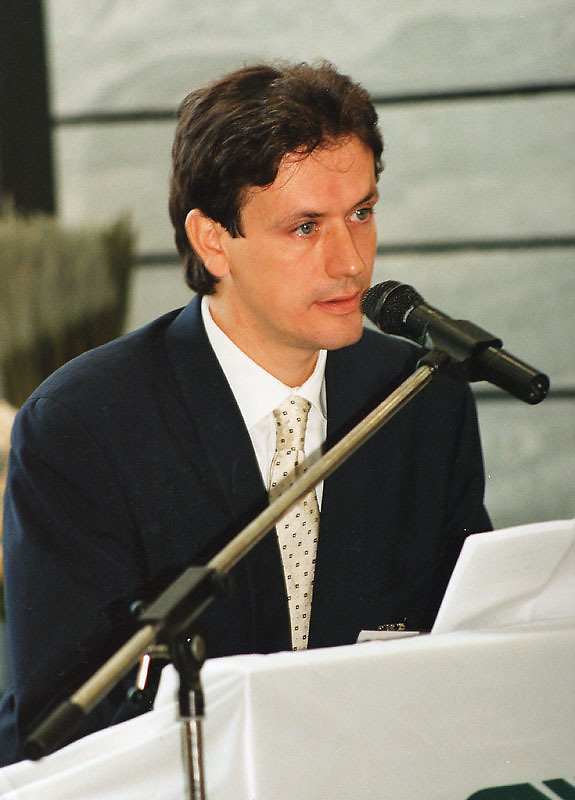 Carrara, Spring 1996. Studio Nicoli, inside the nineteenth century work shop. 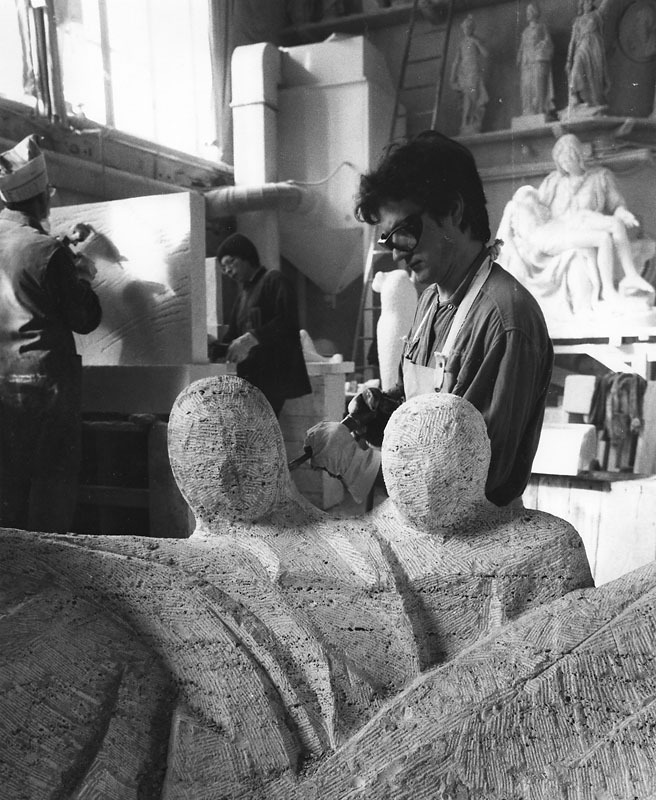 The sculptor executed all the stages of creation of the travertine monument using artisan tools and mastery, the technical expertise of which stems from the Tuscan Renaissance. The concrete model for the enlargement, performed using the antique “three point” method can be seen on the right-hand side of the photograph. 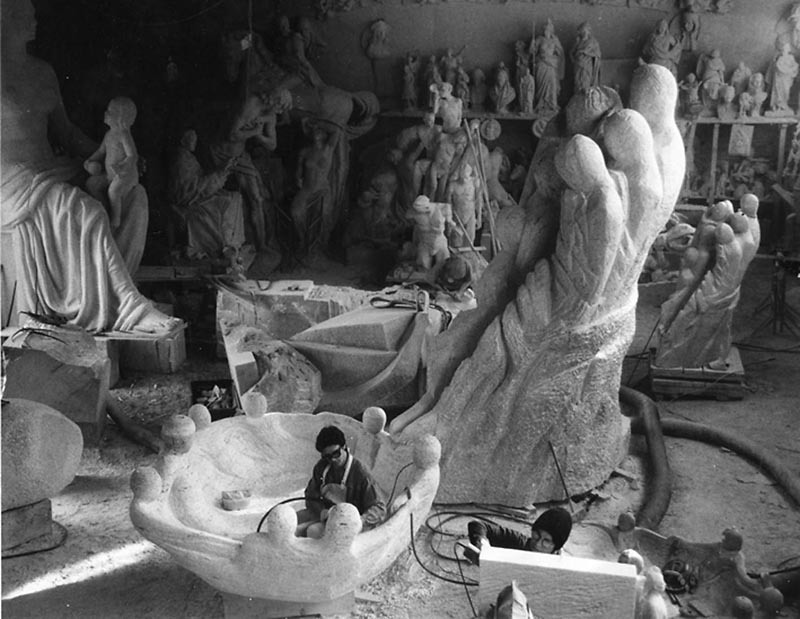 Carrara, Studio Nicoli, The sculptor working on the rough version of the basin of the GlaxoSmithKline fountain. An original plaster cast of Michael-Angelo’s “Pieta”, situated at Saint Peter’s in Rome. 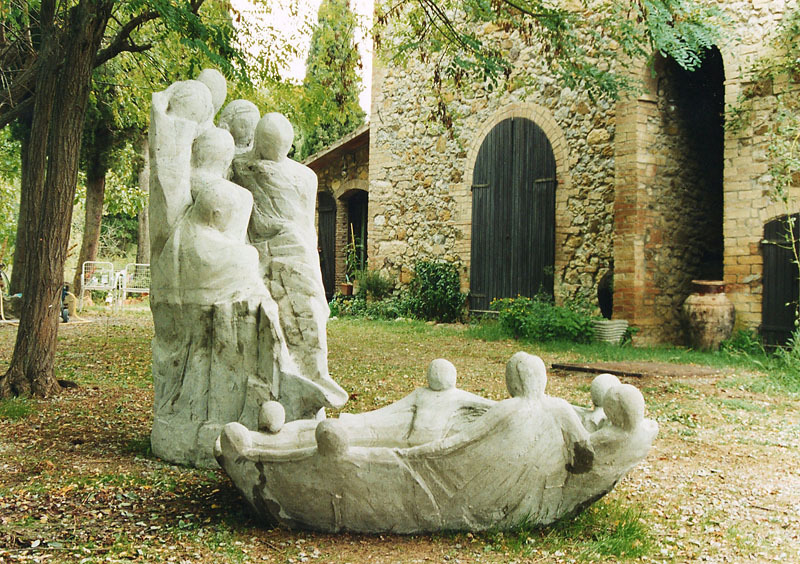 San Gimignano, 1995, concrete model for fountain commissioned by GlaxoS mithKline. 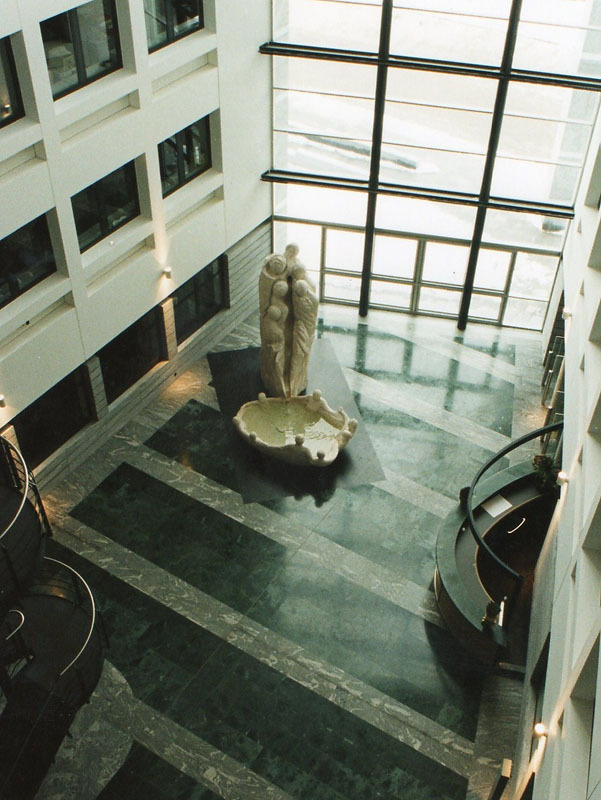 GlaxoSmithKline: entrance of the new head offices of GlaxoSmithKline.